I completely forgot to post this earlier. 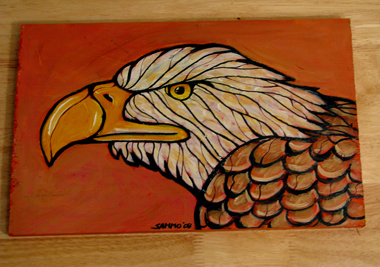 It's an acrylic painting I did late last year on a piece of found wood. I'd like to do more paintings on found objects but I haven't developed that "sixth sense" for knowing where to look.